Upon the death of his brother, Larry Talbot returns from America to his ancestral home in Wales. 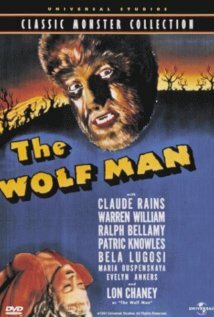 He visits a gypsy camp with village girl Jenny Williams, who is attacked by Bela, a gypsy who has turned into a werewolf. Larry kills the werewolf but is bitten during the fight. Bela’s mother tells him that this will cause him to become a werewolf at each full moon. Larry confesses his plight to his unbelieving father, Sir John, who then joins the villagers in a hunt for the wolf. Larry, transformed by the full moon, heads for the forest and a fateful meeting with both Sir John and Gwen..